Diario Judío México - As Jews worldwide honored on Monday the memory of those who were murdered in the Holocaust, a 76-year-old survivor sacrificed his life to save his students in Monday’s shooting at Virginia Tech College that left 33 dead and over two dozen wounded. 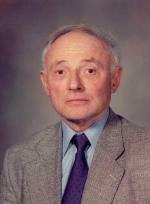 Professor Liviu Librescu, 76, threw himself in front of the shooter when the man attempted to enter his classroom. The Israeli mechanics and engineering lecturer was shot to death, “but all the students lived – because of him,” Virginia Tech student Asael Arad – also an Israeli – told Army Radio. Several of Librescu’s other students sent e-mails to his wife, Marlena, telling of how he had blocked the gunman’s way and saved their lives, said Librescu’s son, Joe. The couple immigrated to Israel from Romania in 1978. They then moved to Virginia in 1986 for his sabbatical and had stayed since then, Joe told Army Radio. The gunman was later identified on Tuesday afternoon as Cho Seung-Hui, 23, a South Korean citizen who was studying legally in the United States as an English major at Virginia Tech. Earlier, Virginia Tech’s president said the gunman in the second of two campus attacks was a student at the university. He also defended the school’s delay in warning students about what became the deadliest shooting rampage in US history. Though university president Charles Steger did not explicitly say the student, who he identified as an Asian male, was also the gunman in the first shooting, he said he did not believe there was another shooter. The gunman struck down two people at a dormitory Monday before killing 30 more people in a campus building and finally killing himself with a shot to his head. “We do know that he was an Asian male – this is the second incident – an Asian man who was a resident in one of our dormitories,” said Steger in an interview with CNN, confirming for the first time that the killer was a student. Some students said their first warning came more than two hours after the first shooting, in an e-mail at 9:26 a.m. By then the second shooting had begun. “I think the university has blood on their hands because of their lack of action after the first incident,” said Billy Bason, 18, who lives on the seventh floor of West Ambler Johnston, a high-rise coed dormitory where the shooting began and two people died. Two students told NBC television’s “Today” show they were unaware of the dorm shooting when they reported to a German class where the gunman later opened fire. After the gunman left the room, students could hear him shooting other people down the hall. O’Dell said he and other students barricaded the door so the shooter couldn’t get back in – though he later tried. President George W. Bush and first lady Laura Bush were planning to attend a 2 p.m. (1800 GMT) convocation Tuesday, and people sought comfort Monday night at a church servide. The shooting began about 7:15 a.m. on the fourth floor of the dorm. Police commandos swarmed over the campus. A student used his cell-phone camera to record the sound of bullets echoing through a stone building. Inside Norris, the attack began with a thunderous sound from Room 206 – “what sounded like an enormous hammer,” said Alec Calhoun, a 20-year-old junior who was in a solid mechanics lecture in a classroom next door. “I must’ve been the eighth or ninth person who jumped, and I think I was the last,” said Calhoun. He landed in a bush and ran. Steger said authorities believed the shooting at the dorm was a domestic dispute and mistakenly thought the gunman had fled the campus. “A shooting incident occurred at West Amber Johnston earlier this morning. Police are on the scene and are investigating.” The message warned students to be cautious and contact police about anything suspicious. Until Monday, the deadliest shooting in modern US history was in Killeen, Texas, in 1991, when George Hennard plowed his pickup truck into a Luby’s Cafeteria and shot 23 people to death, then himself. The massacre Monday took place almost eight years to the day after the Columbine High bloodbath near Littleton, Colorado. On April 20, 1999, two teenagers killed 12 fellow students and a teacher before taking their own lives. Previously, the deadliest campus shooting in US history was a rampage that took place in 1966 at the University of Texas at Austin, where Charles Whitman climbed the clock tower and opened fire with a rifle from the 28th-floor observation deck. He killed 16 people before he was shot to death by police. As well as Librescu, among the dead were Kevin Granata, said Ishwar K. Puri, the head of the engineering science and mechanics department.